On the verge of his 70th birthday, Arnold Schwarzenegger continues to confront life as an aging action hero via 2017’s Aftermath. 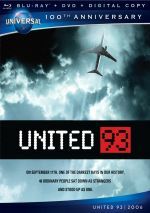 On the job, air traffic controller Jake Bonanos (Scoot McNairy) makes an error with tragic results, as his mistake causes two planes to collide. This leaves all of those on-board the flights dead, a body count that includes the wife and daughter of construction foreman Roman Melnyk (Schwarzenegger). Consumed by grief, he attempts to locate and confront Jake. That sounds like a pretty standard tale of revenge, and the Schwarzenegger of 1987 would’ve gone on a mission to kill the man who led to the loss of his loved ones. The Schwarzenegger of 2017 tends to go for roles with more moral ambiguity, though, so Roman doesn’t really connect with the one-dimensional supermen the actor used to play. While I applaud Schwarzenegger’s willingness to accept more human roles, I can’t claim that he’s managed to develop into a great thespian over all these decades. Oh, he certainly displays stronger skills than he showed in his younger days, and I can’t say that he does a poor job as the lead. However, Schwarzenegger can’t quite dredge up the emotional range needed for Roman. Although he occasionally touches on these elements in a successful way, too often we can see his limitations on display, as he gives us more than a few leaden moments. Still, I admire Schwarzenegger’s attempts at “real acting”, and I can’t blame him for the movie’s main weaknesses anyway. Aftermath suffers mainly because it offers a slow narrative that never manages to get to the emotional core of its material. Although my synopsis leaves the impression Aftermath focuses on Roman’s pursuit of vengeance, that doesn’t really hold true. In reality, it takes quite a while for Roman to launch into much of a crusade, as most of the story focuses on the debilitating grief he and Jake experience. Rather than concentrate solely on the man who lost his wife and pregnant daughter, Aftermath gives Jake’s depression nearly equal weight, and I like that. It’d be too easy to make this a tale in which Jake serves as a traditional “bad guy”, but we see his side and understand the impact the accident had on his life. Honestly, I’d prefer that Aftermath focus more on Jake than Roman simply because he provides the more unusual story. I can’t fathom the pain and guilt that would come with the knowledge my actions accidentally killed hundreds of people. An event that claims the life of my loved ones would devastate me, but the fact it’s out of my hands dulls some of that impact. The awareness that I slipped up and hundreds of lives evaporated seems unbearable. I appreciate that aftermath explores this subject and doesn’t just stick with the traditional side of the narrative. Unfortunately, the movie follows these topics in such a slow, sluggish manner that it never capitalizes on its potential strengths. 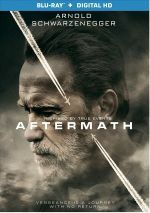 While Aftermath boasts tremendous natural dramatic and emotional material, it creates an oddly disconnected and dull film. This doesn’t make Aftermath bad, as it does boast the strengths that I mention. However, it just doesn’t create a particularly involving journey, so it winds up as a less than involving 94 minutes. Aftermath appears in an aspect ratio of approximately 2.40:1 on this Blu-ray Disc. The image largely appeared positive. Sharpness usually seemed fine. Some interiors showed a bit of softness, but the majority of the flick displayed pretty solid delineation. No issues with shimmering or jaggies materialized, and I saw no edge haloes or print flaws. LP> In terms of palette, Aftermath usually opted for a teal tint, with some amber thrown in on the side. This wasn’t the most impressive set of colors, but the Blu-ray reproduced the tones fine. Blacks appeared fairly dark and dense, while low-light shots displayed mostly nice clarity. All in all, the image worked pretty well. As a character drama, the movie’s DTS-HD MA 5.1 soundtrack lacked much ambition. Dominated by dialogue, the mix offered a little environmental material, one that came to life in a moderate manner at times. The work at a construction site used the speakers in a convincing way, and airport scenes added some life. Nothing here made great use of the channels, though. Audio quality seemed satisfactory. Music and effects didn’t have much to do, but they showed adequate accuracy and range. Speech always appeared distinctive and comprehendible. The mix lacked oomph but it suited the film. A few extras fill out the set, and we find an audio commentary with director Elliott Lester and producer Eric Watson. Both sit together for this running, screen-specific look at the source material and story/characters, sets and locations, music and sound design, cast and performances, effects, cinematography, editing and connected domains. Overall, this becomes a highly satisfying commentary. Lester does most of the chatting, and he offers a lively, engaging presence. We learn quite a lot about the film this consistently informative piece. Interviews with Director Elliott Lester and Director of Photography Pieter Vermeer fill seven minutes, 24 seconds. They cover cast/performances and cinematography. Vermeer throws out a couple of good notes, but mostly this piece seems superficial. The disc opens with ads for Imperium, Patriots Day, Solace, Extortion and Maggie. We also get the trailer for Aftermath. A story that comes with tremendous emotional potential, Aftermath occasionally kicks to life. However, too much of it seems slow and curiously free from real drama. The Blu-ray presents pretty good picture and audio along with an informative commentary. While I admire the film’s goals, the end result lacks much power.